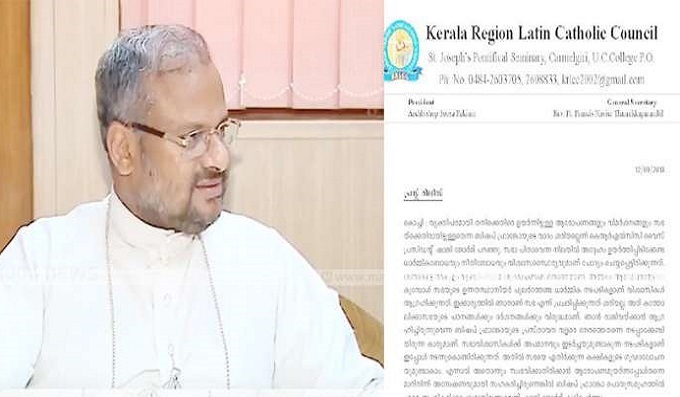 KOCHI: Bishop Franco Mullakkal, accused in the nun sexual assault case, faces isolation in the Latin Catholic council. The Kerala Regional Latin Catholic council demanded that the Bishop should have resigned earlier itself. The council in a press release said that the Bishop’s statement that the accusations and criticisms raised against him were actually against the church was not right. "This has infuriated the believers in the council," added the council spokesperson Shaji George. As a part of the council, Bishop should uphold moral justice. The accusations against him were personal. The believers expect this moral justice from the higher authorities when such accusations arise. The Bishop’s statement that said he wished to resign should have been made earlier. "If he had resigned and co-operated with the probe that would have been more acceptable," said Shaji George.